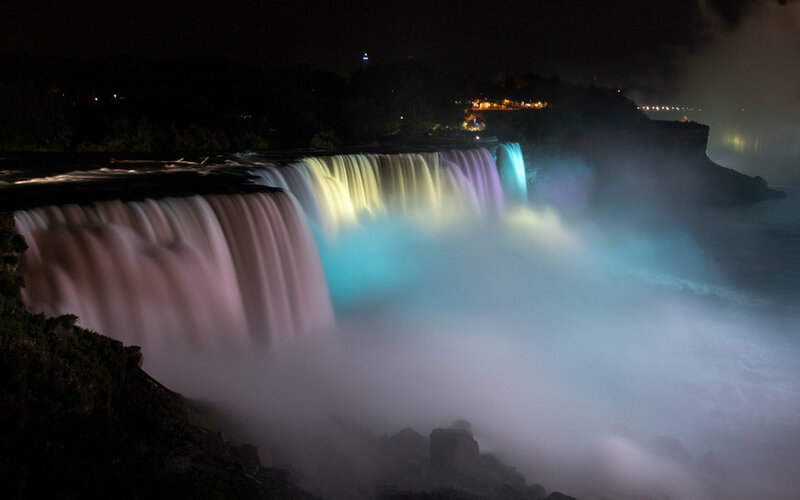 The installation consists of 1,400 LED lights and replaces the 21 Xenon searchlights that had lit up the falls for the past two decades. 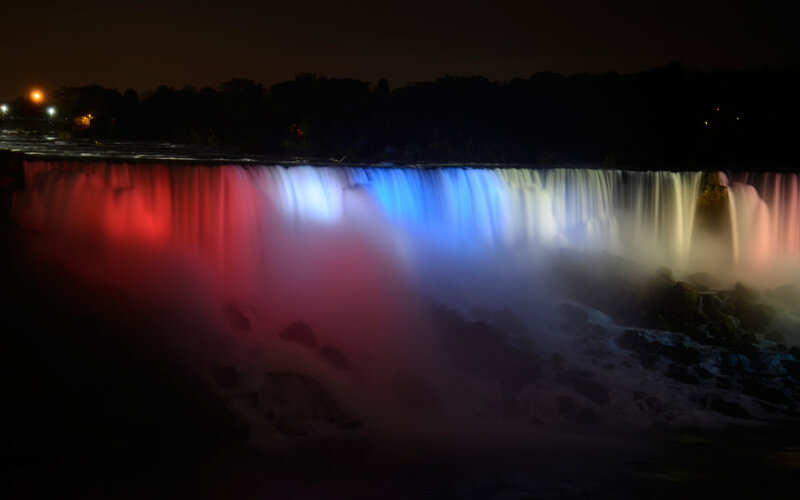 The new LED lights can be programmed for up to 1,800 colorful combinations. 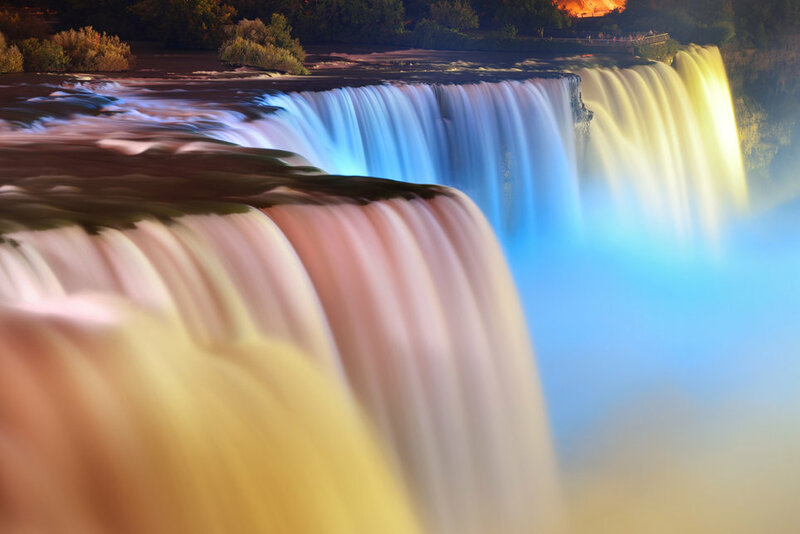 Niagara Falls is the name for three waterfalls (Horseshoe Falls, the American Falls and the Bridal Veil Falls) that straddle the international border between Canada and the USA (Ontario and the state of New York). 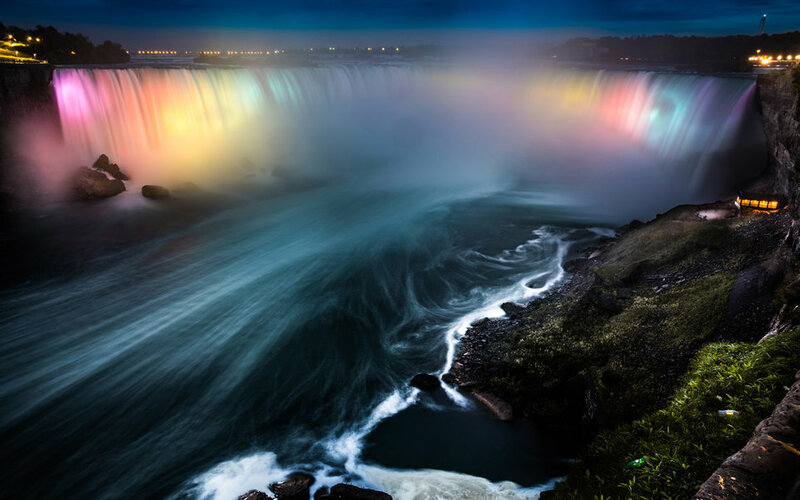 Horseshoe Falls with illuminated lights at night, Ontario. 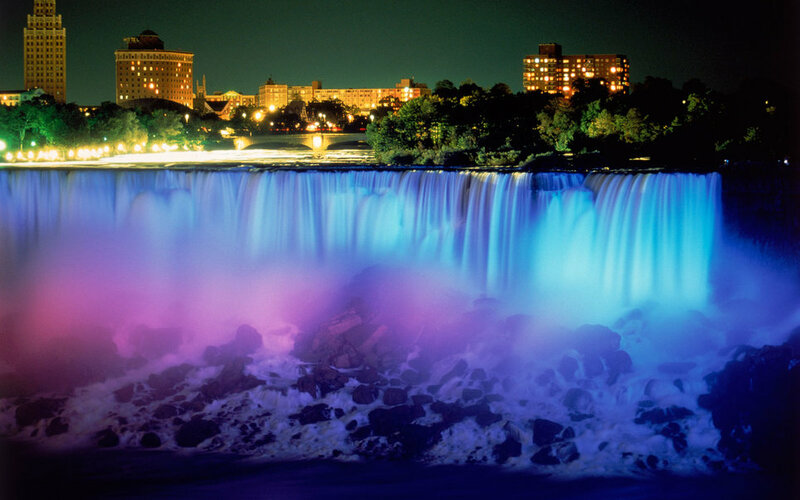 Niagara Falls at night – Canada – North America. 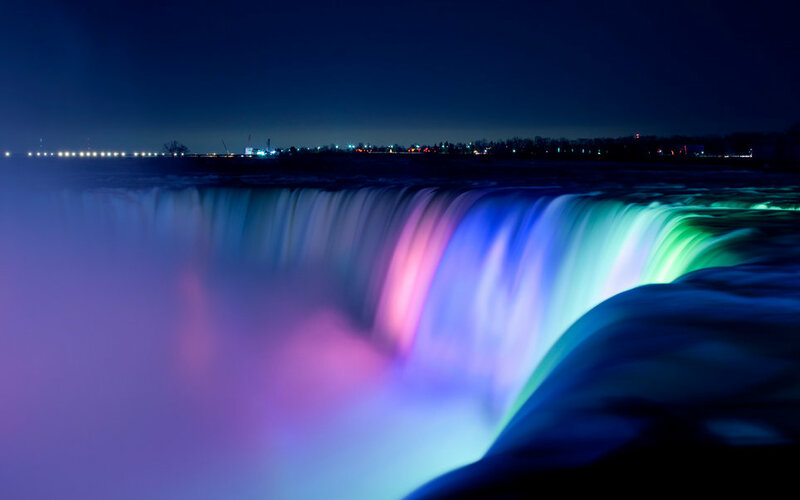 If you’re wondering how it could cost do much to build, It has more to do with the difficulty of setting up a lighting system behind one of the worlds largest waterfalls than the actual cost of the system itself. The result is pretty cool though, and since the Xenon lights lasted for over 20 years, these will likely last even longer. 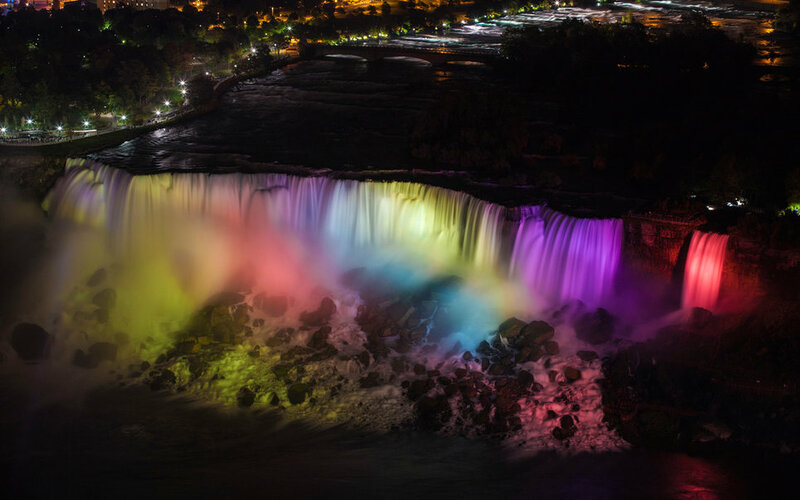 Here you can find a schedule for the light shows.